We’ve all had those super fun (NOT) experiences where we go to grab a slice of bread to make a sandwich only to discover those icky little spots of mold on the bread. Now, if you’re Asian (like my mom) then you may be ever resourceful and just pick off the offending pieces and go on your merry way. And if you’re a scientist (again, like my mom) then if you mention that there still cold be mold spores that haven’t grown yet, then you’d say, “Hey! It’s just penicillin! 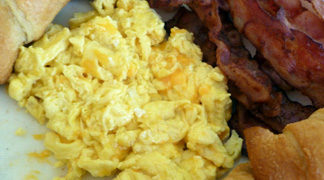 It’s good for you.” (Yes, I actually did hear that growing up!) For those of us who aren’t quite so… optimistic… about moldy bread, another option is to use a better tool to help keep the air out and the freshness in. Banana Seal is just such a product that can help reduce the amount of food we have to toss due to mold or food spoilage. 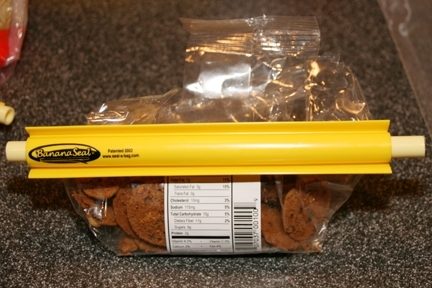 Banana Seal is an innovative new product that allows you to turn any bag into an airtight bag. It comes in two pieces, which I’ll call the peel and the banana. (Get it? Banana Seal… peel…banana…haha! Ok, maybe just I find that funny. =p) To attach the Banana Seal to a bag, simply separate the two pieces together (peel the banana out), put the pieces on either side of the bag, then press the banana back into it’s peel. Easy! In this picture, the banana is resting on top of the sealing portion. When it’s in seal-mode, the tube will be pressed all the way inside the peel. The Banana Seal 4-Pack that I received was particularly useful because it offered three different sizes of Banana Seals – 11.5″, 9.5″, and 7.5″ (or in my terms – large, medium, and small.) If you need a custom sized Banana Seal, you can simply cut up one of the larger sizes to fit the bag you’re trying to seal. 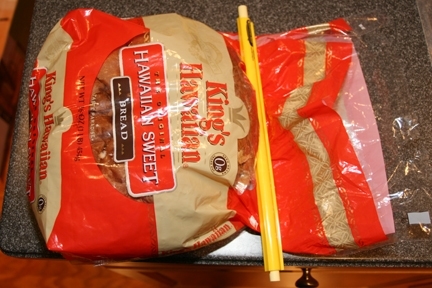 I used the large size to seal up a bag of Hawaiian Bread. The large size would also be perfect for potato chip bags, pre-made salad bags, and cereal. I used the medium sized Banana Seal on a bag of dark brown sugar. I hate it when my brown sugar gets all dried out and stiff, so I’m a big fan of being able to keep it fresher longer. 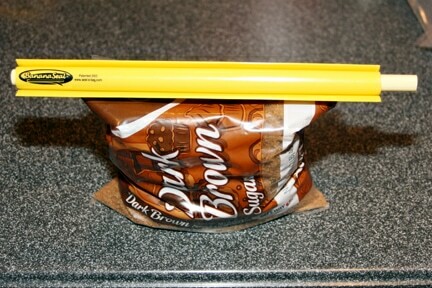 This size would also work well on other baking ingredients and frozen vegetable bags. Finally, I used the small Banana Seal on a bag of yummy mini-chocolate chip cookies. What makes this particularly special is that the plastic bag isn’t the thin film type of plastic. It’s the thicker, more brittle plastic. I was happy to see that the Banana Seal was still able to effectively seal up this bag without any problems. The small size would work well for snack bags and coffee bags. There are a couple of things I really like about the Banana Seal. First, you can use it on the original bag. Many times I’ll throw an opened bag into a zippered bag just so I can try to get the air-tight seal. Unfortunately, this offers opportunity to trap more air IN with the food, and it’s a waste of another plastic bag (a big no-no for the enviro-conscious.) With Banana Seal, you’re able to apply the seal directly to the original packaging, so there isn’t any double bagging or waste. Secondly, I like that it’s re-usable. Once I’ve emptied out the first bag that the Banana Seal has been sealing, I can simply start using it on another bag! The Banana Seals are made of a nice, durable plastic that is sturdy and is dishwasher safe for between-use cleanings. You can use the Banana Seal on virtually any bag, which makes it an extremely useful tool to have to effectively keep out the air and keep your food fresh. 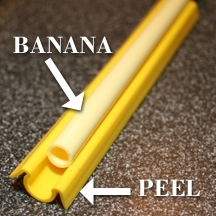 For more information about Banana Seal, visit www.bananaseal.com. Banana Seals are available for purchase now in stores nationwide and online at target.com and amazon.com. You also have the opportunity to win a Banana Seal 4-Pack of your very own in the WCatDD Banana Seal Giveaway! Three winners will receive a Banana Seal 4-Pack. THIS ENTRY IS REQUIRED FOR ALL OTHER ENTRIES TO BE VALID (+1): Visit www.bananaseal.com and tell me one thing you learned or what you would seal with your Banana Seal. Three winners will be selected at random for this prize. Giveaway ends at 11:59 PM EST, January 18, 2010. Disclaimer: This post consists of my (and/or fellow tester) opinions only. No compensation was given for this review/giveaway. I will receive a free Banana Seal 4-Pack from the manufacturer or their representing PR agency to use and test for the purposes of this review. This did not affect the outcome of this review. We may use affiliate links as a form of advertising in our reviews. 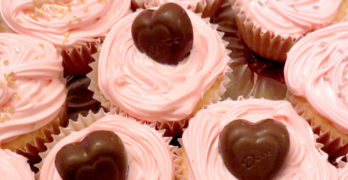 It says it forms an airtight seal – even brown sugar stays moist. And they make a size for bags of pet food. This product sounds great! It says it forms an airtight seal – even brown sugar stays moist. And they make a size for bags of pet food. This product sounds great! I'd seal everything with these! Cereal bags, cracker bags, cheese bags, etc etc etc. Thanks for the great contest! I would use the Banana Seal for my bagged spinach. We eat a lot of spinach salads at our house so this would be great. I would seal my flour. Right now the top of the bag is just sort of crumpled up. I guess I could use these 🙂 Thanks! I subscribe to WCatDD by email. Thanks!